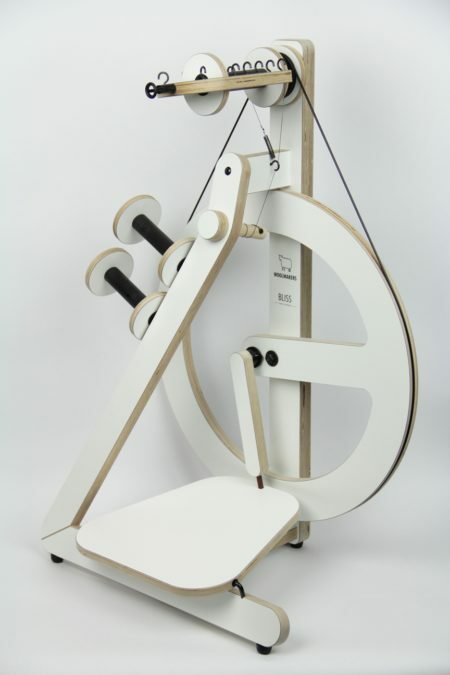 Bliss is a Scotch tension wheel with twin treadles and made of exterior glued laminated birch overlaid with white HPL on both sides. 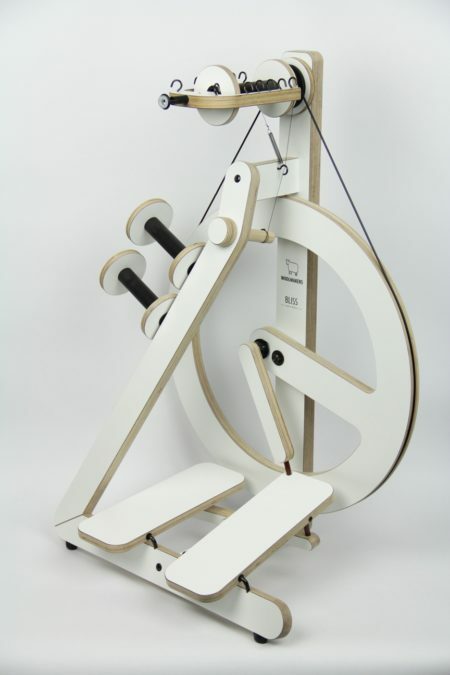 It is standard delivered with 3 bobbins and a built-in lazy kate for 2 bobbins. 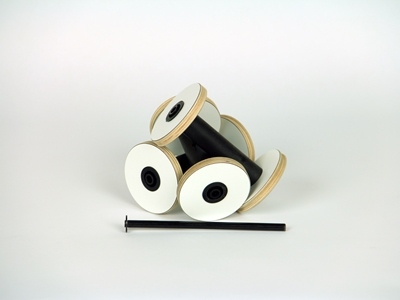 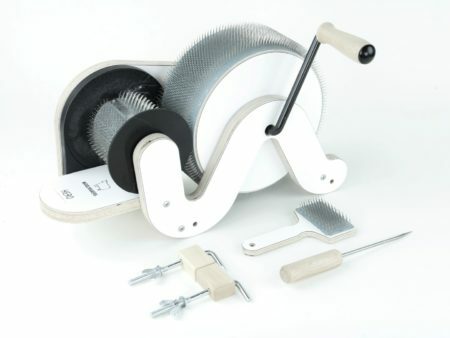 You can also choose to add an additional bobbin set. 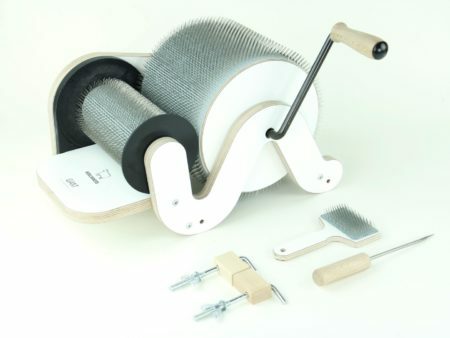 With the additional bobbin set you will have 6 bobbins and a built-in lazy kate for 5 bobbins.